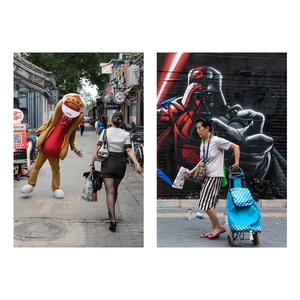 This series of diptychs is composed of unposed pictures, in the tradition of street photography. Post-processing was kept simple and respects the traditional requirements of photojournalism and documentary photography. 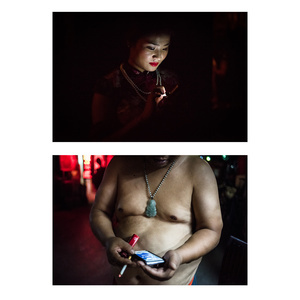 All the pictures were taken in Beijing. 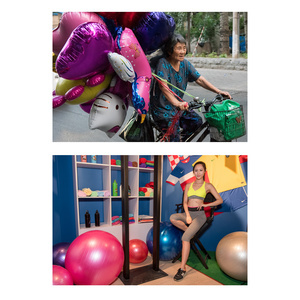 This work aims at showing various facets of Beijing, between tradition, modernity, richness and poverty, Chinese culture and foreign influences. “Surprising Beijing” has a double meaning. 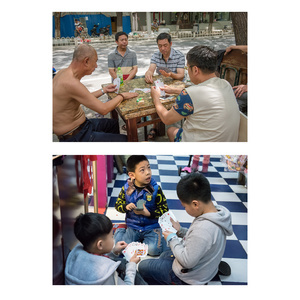 One the one hand, when one lives in Beijing, he is bound to stumble upon surprising situations and things: Beijing is a surprising city. 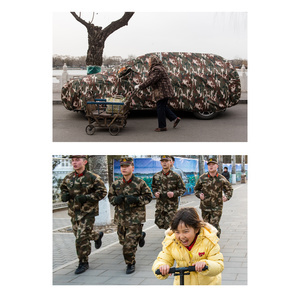 On the other hand, the photographer also aims at “surprising” people at the right place and at the right time so he can create “surprising” pictures by playing with unexpected situations and juxtapositions. 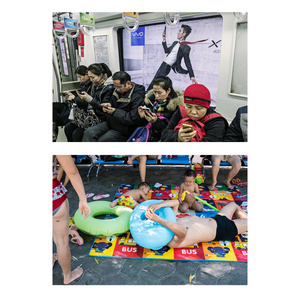 Some of the pictures already contain juxtapositions. Nonetheless, working with diptychs allows going further in highlighting contrasts, contradictions and creating meaningful combinations. This work can be seen as a series of visual jokes and heavily relies on humor. Does it mean that it is shallow? As Winston Churchill said, “a joke is a very serious thing”. 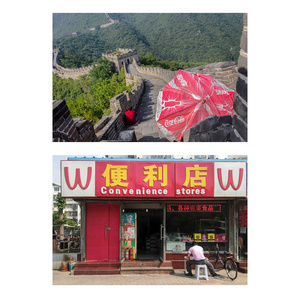 These jokes are an interpretation of Beijing’s conflicting reality. By exaggerating things, they create meaning and make more visible the characteristics of the city. This work is extremely and necessarily subjective. It relies on the photographer’s choice when it comes to timing, framing, editing and pairing pictures. 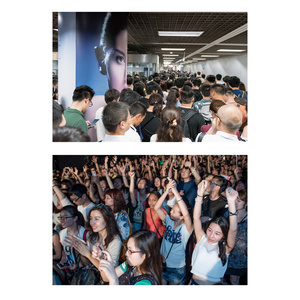 Yet, once this subjectivity is accepted, the work has documentary value as it probes into the modernization of the capital city of the world’s second largest economy.